The waits are often long, and the process can be slow. 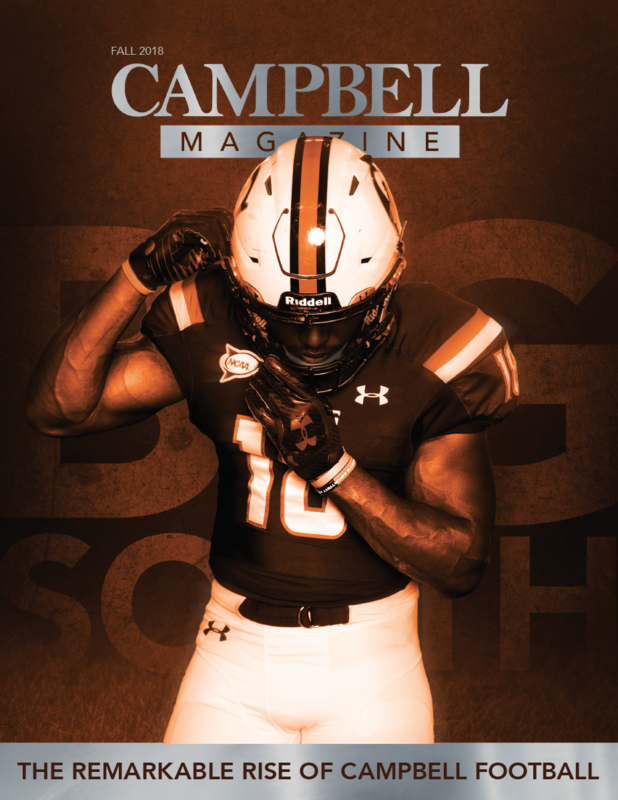 But you won’t hear complaints from the men and women who visit the Campbell University Health Center on Tuesday nights. In fact, they’ve come to depend on this four-hour window of service known as the Student Clinic — overseen by licensed physicians and School of Medicine faculty but otherwise run by medical, physician assistant, pharmacy, social work and other health sciences students, the clinic has become a godsend for Harnett County’s low-income and medically uninsured population (which is larger, percentage-wise, than the average county). From 5:30 to 9:30 p.m. every Tuesday, the students see more than a dozen patients (there are currently 200 active patients in their system) seeking treatment and care for chronic pain, hypertension, diabetes and a slew of other conditions that would otherwise go untreated. For second-year medical student Justyne Murphy and first-year student Shaina Gordon — the outgoing and incoming directors of the Student Clinic — Tuesday nights have become more than a valuable learning experience working with real people with real conditions. They’ve become a passion for these future doctors — a sentiment shared by many of their classmates who have taken pride in the clinic and the good it’s done since opening in 2015. In three years, the program has saved residents nearly a half-million dollars in medical costs in a county that ranks 72nd out of 100 in the state when it comes to proper diet and exercise and avoiding negative behaviors like tobacco and alcohol use and 86th in the state in access to clinical care. The clinic comes to life at 5:30 p.m. on Tuesdays, 30 minutes after the Health Center closes its doors for the day. Undergraduate members of the Pre-SOMA Club are the first students these patients see, there to take vital signs and begin the paperwork process. Two medical students, a physician assistant student and a pharmacy student work as a team (a typical night has about five of these foursomes) to see the patient, gather his or her history and do a physical exam. The students then meet with that night’s attending physician to talk about the patient’s condition, double check their process and formulate a care plan. The physician ends the visit with a one-on-one with the patient as the students observe. All prescriptions are made or signed off by the physician, as — even though they’re putting in the hours and gaining valuable real-time experience — the students running the clinic are still only students. Obesity is a major issue for many of their patients. As are diabetes and hypertension. 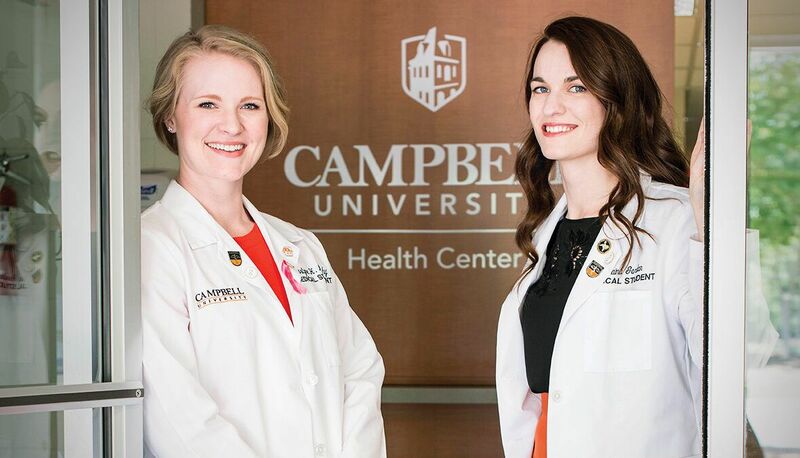 Lack of medical education is a big part of the problem, which is why Campbell students take so much time with each patient to promote a healthier lifestyle and to talk through the symptoms. The work they’re doing goes far beyond the “examine-and-prescribe” approach one might find at other busy free clinics. The good news is that the patients are listening. Gordon recalls one patient who quit smoking “on the spot” during a visit. Another woman gave a recent testimonial at a gala hosted by the med school and shared how the clinic got her on her feet and saved not only her life, but her adult son’s life as well. The woman was able to get a job with health insurance, allowing her son, who has multiple sclerosis, to see a specialist. Experience isn’t the only thing the students get from the clinic. Murphy says there’s a personal lift from helping the community. The weight of homework, studying and exams is lifted on Tuesday nights. “This is where I’m supposed to be,” she says.